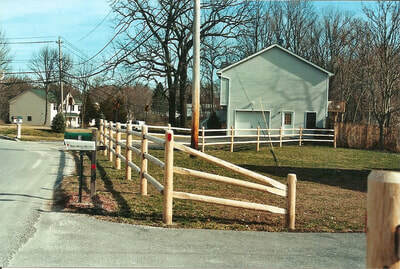 Protection Fence Co - post and rail and post and wire - Protection Fence co. 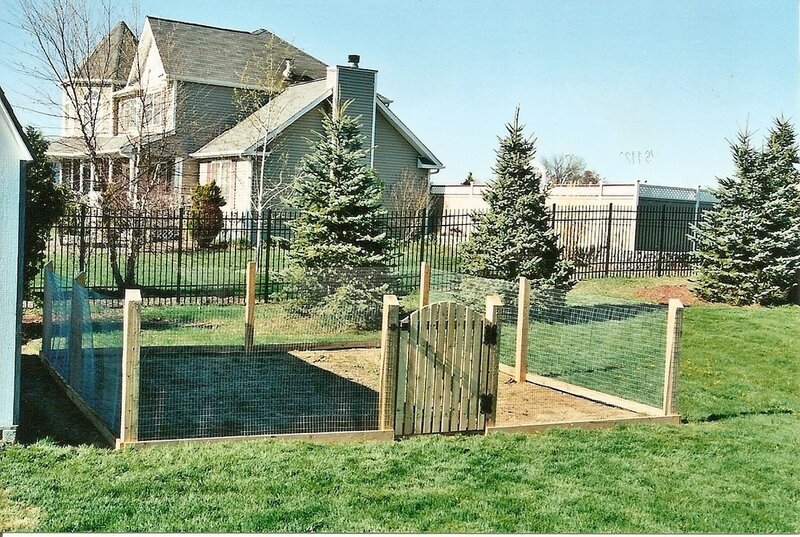 Deer fence, dog fence, pool fence, garden fence, the options are limitless! 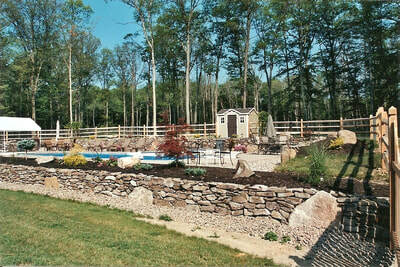 Post and rail/wire fences are a beautiful cost effective option. With the appropriate welded wire attached, they will also pass pool code. 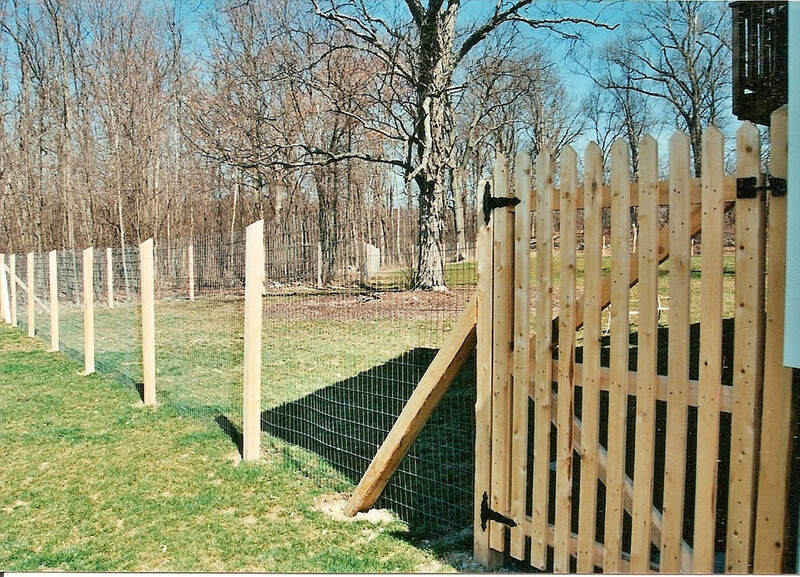 4' high post and wire fence, 2"x1" galvanized welded wire. 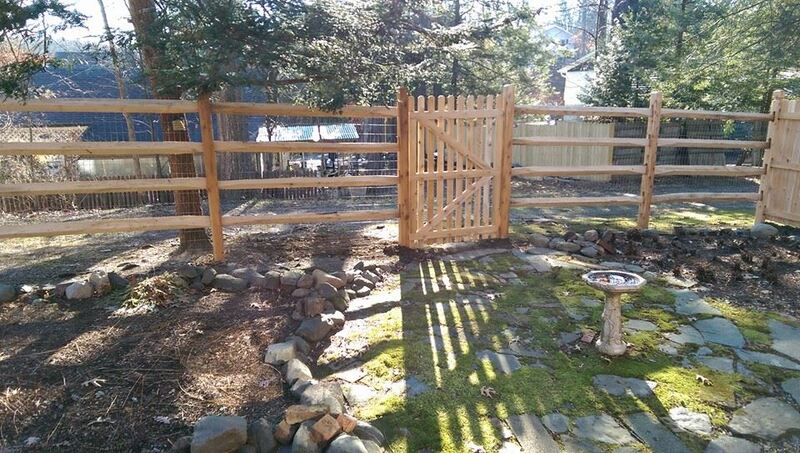 Smooth domed, cedar narrow spaced picket gate. Bottom rail. 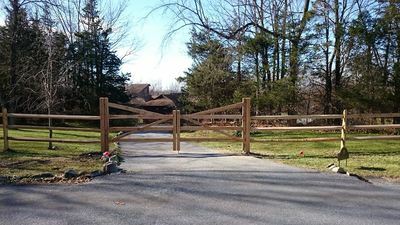 Custom flat rail double gate with "X" style braces. Decorative slipover post caps. All out of uncoated white cedar wood. 3 rail flat rail post and rail. All out of uncoated white cedar wood. Planed '2x5' rails. Planed '5x5' posts, dogeared, notched and mortised. No wire. 3 rail flat post and rail. Rough 1"x5" rails. Rough full 6"x6" cedar posts dogeared and mortised. 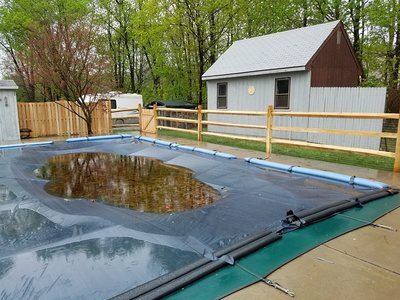 3 rail rustic split rail post and rail with 2"x1"x48" galvanized welded wire attached to the outside to pass pool code. 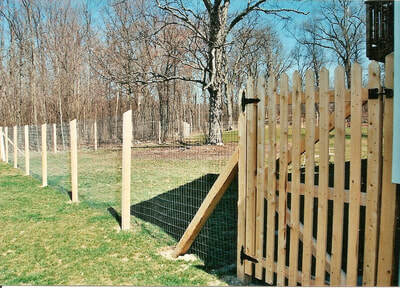 3 rail rustic split rail with 4' high welded wire attached to the in inside. 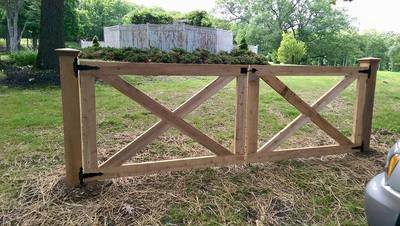 Uncoated white cedar wood double gate 6' opening x 4' high, scalloped, and pointed pickets. 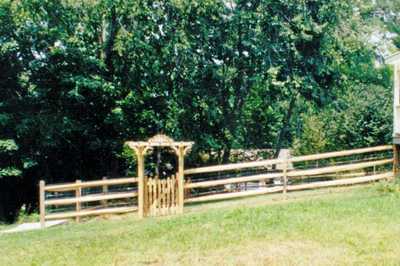 3 rail rustic split rail with 2"x1"x48" galvnized welded wire on the inside. Great for gardens. 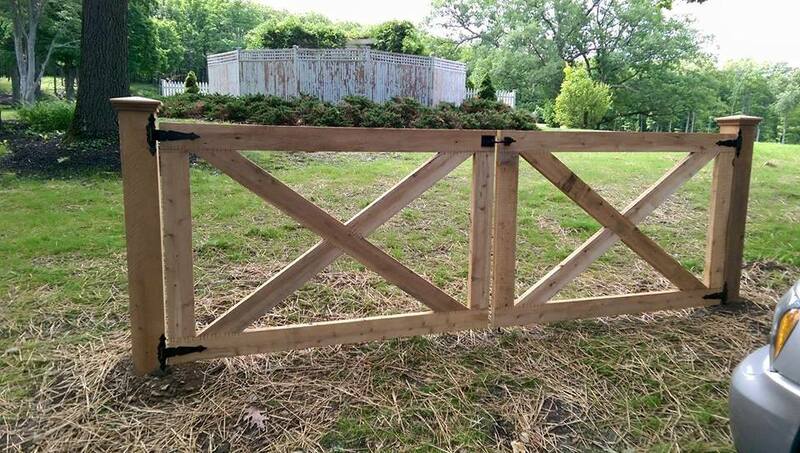 Uncoated, white cedar wood narrow spaced picket gate, 4' high, pointed pickets, straight. 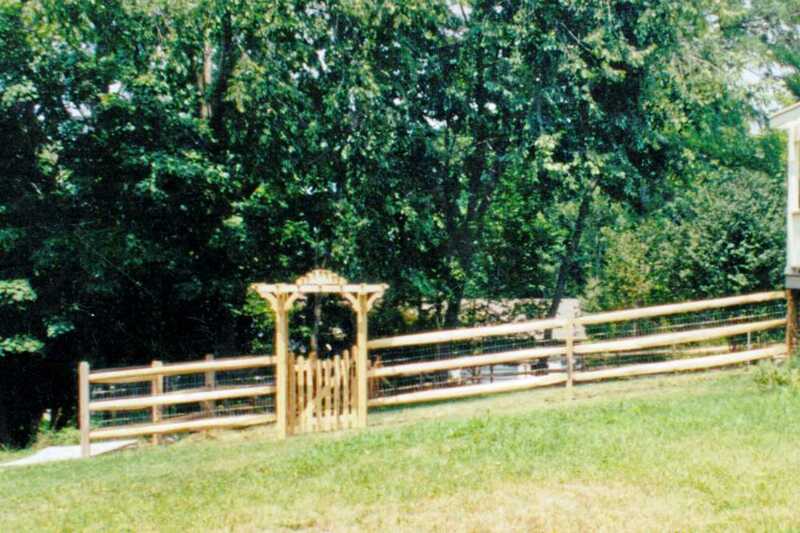 3 rail rustic split rail post and rail with 2"x1"x48" galvanized welded wire attached to the outside to pass pool code. Connected to 6' high cedar board on board. 6' high post and wire fence. 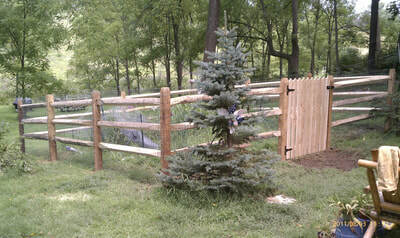 2"x1"x72" galvanized welded wire attached to outside of full 4"x4" cedar posts. Bottom rail on outside. This can even pass pool code! 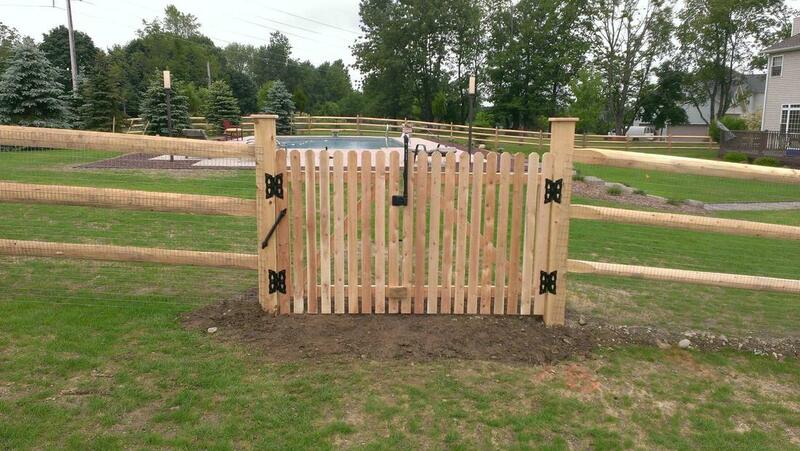 Uncoated white cedar wood double gate, 6' high, narrow spaced picket, straight. 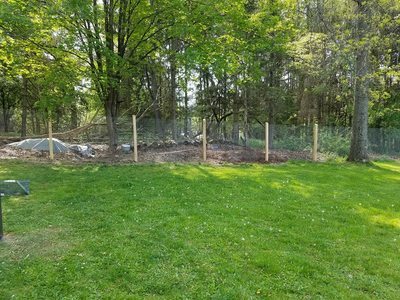 6' high post and wire fence. 2"x1"x72" galvanized welded wire attached to the outside of full 4"x4" cedar posts. Great for deer and gardens. This can even pass pool code! 6' high post and wire. 4"x2"x72" galvanized welded wire. 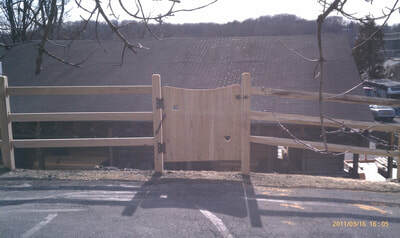 Uncoated white cedar wood single gate, regular spaced, dogeared pickets. Great for deer problems! 6' all custom split rail fence. Cedar 4"x4" posts, dogeared and mortised. 4"x2"x72" galvanized welded wire. Rails are standard split rails. 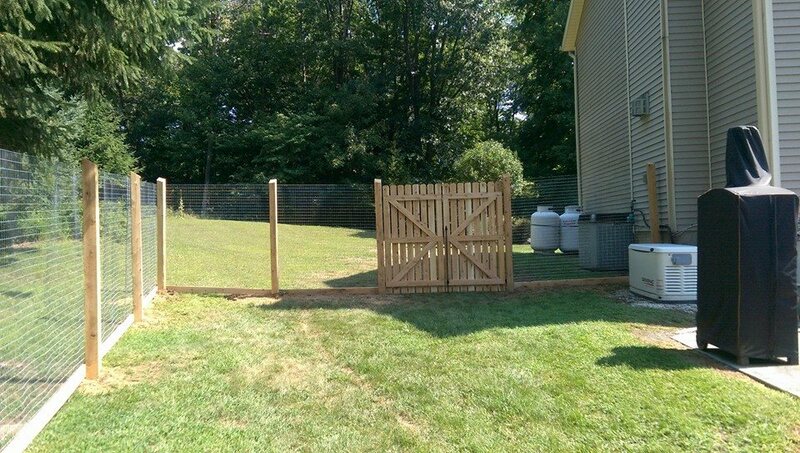 Cedar spaced picket gate, dogeared and straight. 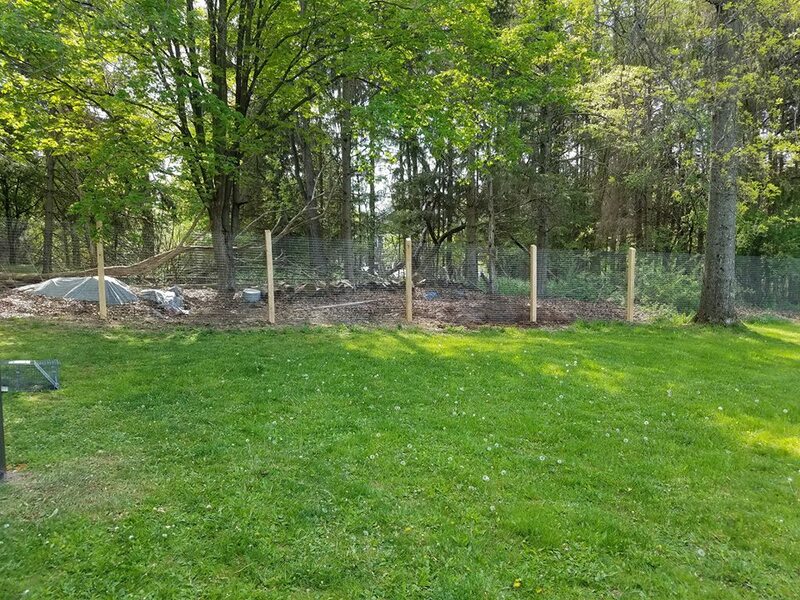 Connecting to 6' privacy. 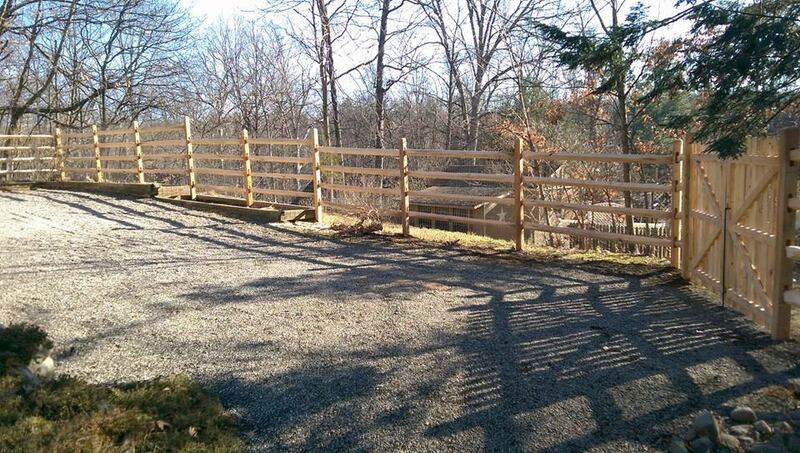 6' all custom split rail fence. 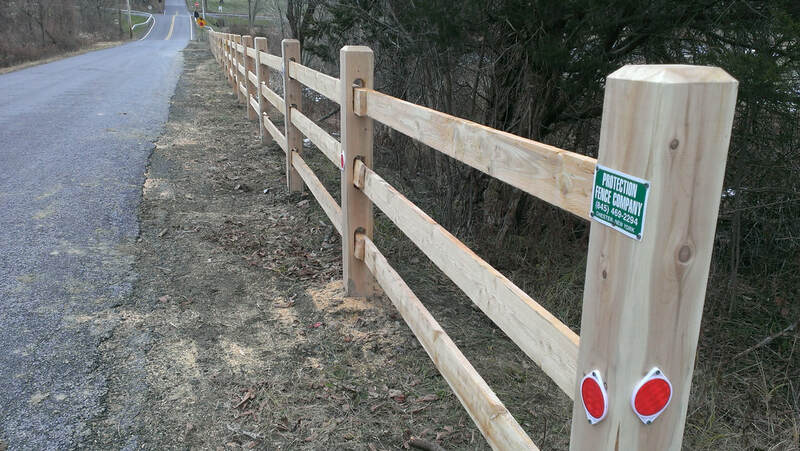 Cedar 4"x4" posts, dogeared and mortised. Rails are standard split rails. 4"x2"x72" galvanized welded wire. On the left: cedar 3 rail flat rail post and rail, planed '2x5' rails, planed '5x5' dogeared and mortised posts. Custom solid cedar gate with heart cut outs. 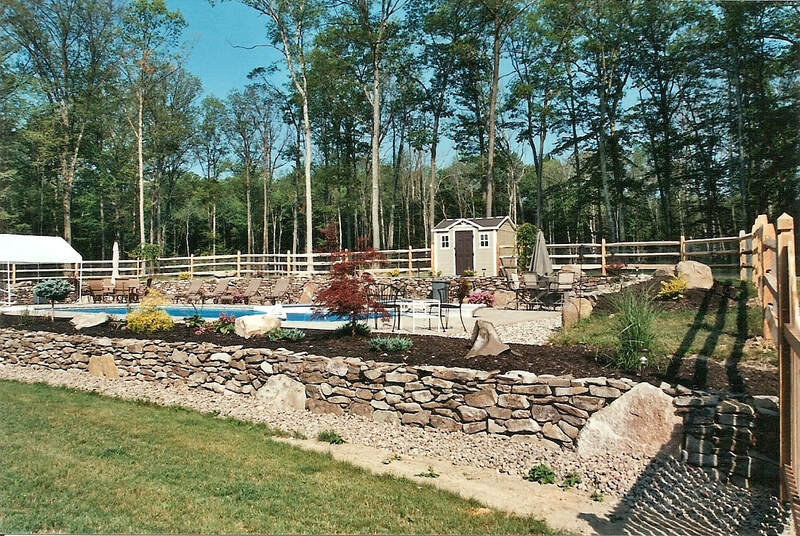 On the right: 3 rail rustic split rail post and rail. 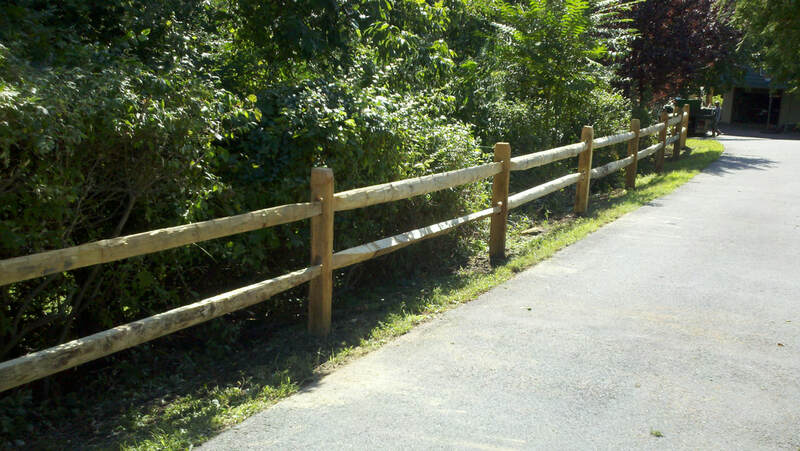 2 rail rustic split rail post and rail, no wire. 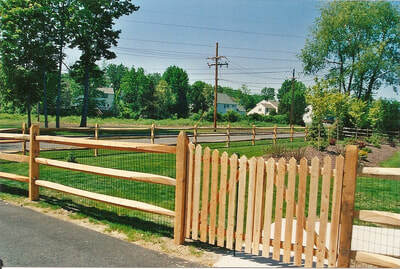 3 rail rustic split rail post and rail with welded wire. 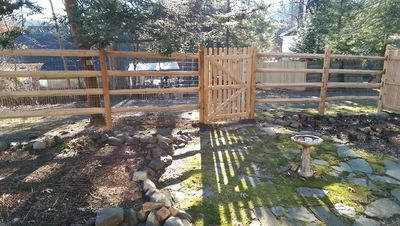 Cedar Arbor and cedar spaced picket gate, scalloped. 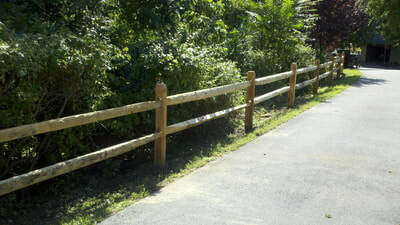 3 rail cedar round rail post and rail, no wire. Drop section from three hole to two hole. Flat rail Farm style driveway double gate with large braces. 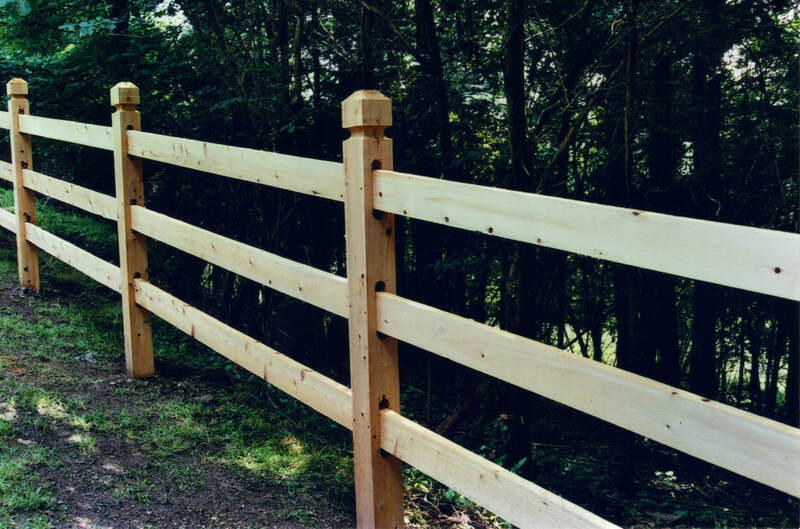 Connecting to 3 rail rustic split rail post and rail. 4 rail cedar flat rail post and rail. 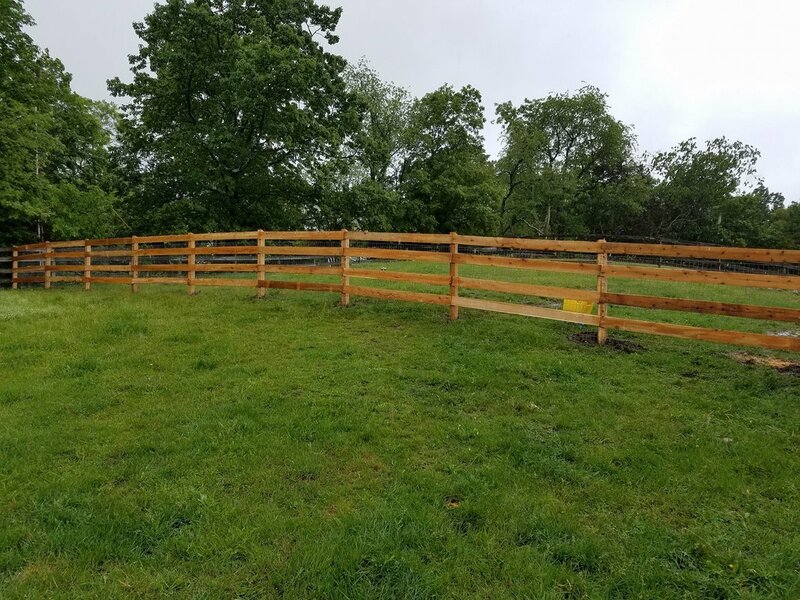 1x6 rough rails screwed to the face of full 4"x4" posts. Galvanized welded wire 4"x2"x4' tall attached. 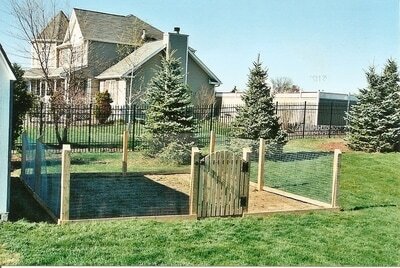 Great for dogs, farms and children! 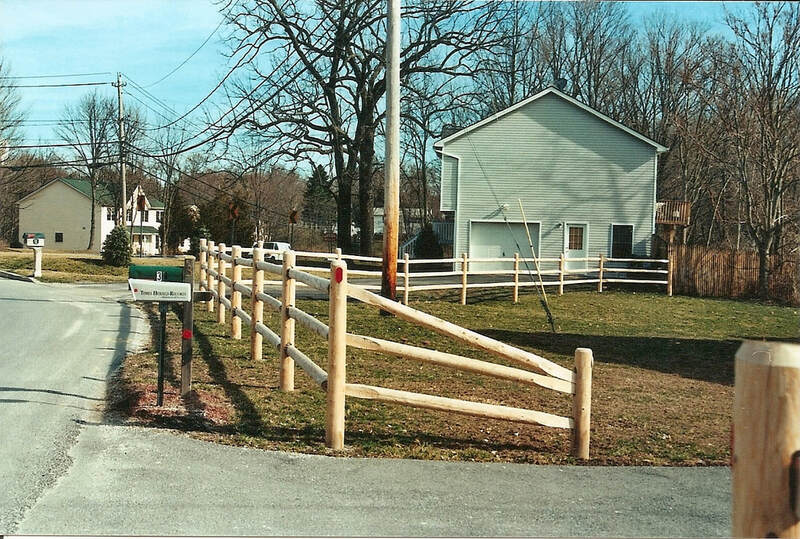 3 rail custom post and rail with cedar 5x5 gate posts and flat caps. 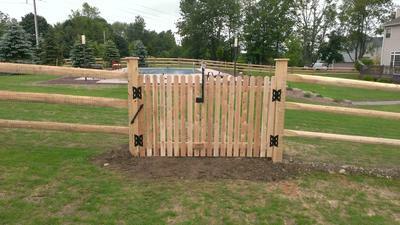 Pool code double gate out of cedar, spaced picket, dogeared, straight, top pull Magna Latch and spring.